The prestigious World Luxury Spa Awards 2014, has honoured the Coco Spa at Coco Bodu Hithi with the Best Luxury Destination Spa in Maldives, adding to the impressive list of credentials the Coco Spa has received. 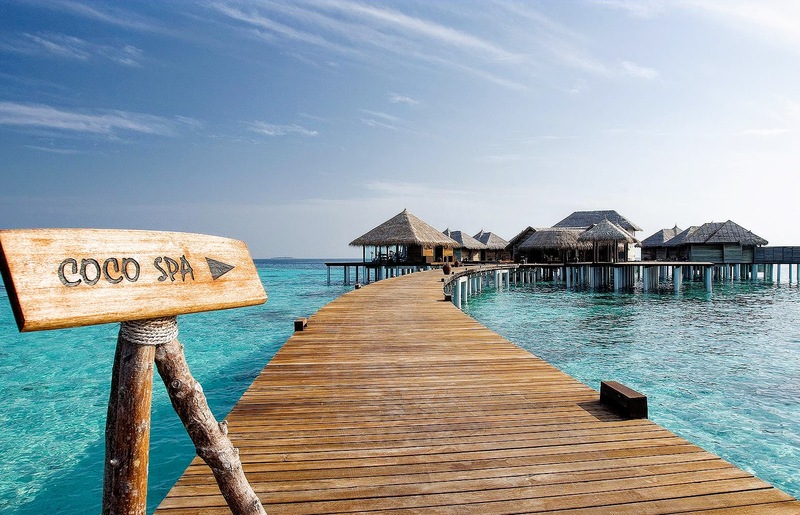 Launched in 2006 as a division of Coco Collection, Coco Spa at Coco Bodu Hithi is set on stilts in the serene lagoon, giving a breathtaking view of the majestic Indian Ocean. This Spa comprises of eight treatment spaces, some coming with private Jacuzzi baths, Yoga and Thai Chi deck, and a Relaxation area with plunge pool. The facility is enhanced with pedicure and manicure rooms, sauna and steam rooms and a retail boutique offering virgin Maldivian coconut oil as well as professional spa products from “Comfort Zone” and THEMAE. “We are overjoyed that Coco Spa at Coco Bodu Hithi has been awarded the Best Luxury Destination Spa in Maldives by the World Luxury Spa Awards! Our entire team is very pleased to be a part of Coco Spa, an ideal destination for a rewarding spa journey with our professional therapists. As a team, we have always been committed to provide the best spa experience to each and every one of our guests. Our aim is to create a lasting impression among our guests and to provide them with a feeling of ultimate luxury and comfort” comments Saliani Ninyoman, Cluster Spa Manager at Coco Collection. The World Luxury Spa Awards is one of the highly respected and popular industry accolades, which recognize the outstanding services of Spas in Hotels and Resorts worldwide. A winner of World Luxury Hotel Awards 2013 and a nominee of World Luxury Spa Awards 2014, Coco Collection is a eminent hotel group, also a subsidiary of Sunland Hotels. Since opening the hotel in July 2007, the company continued to grow and developed its reputation as a stylish, sophisticated with sustainable hospitality. Based in North Malé Atoll, Coco Bodu Hithi is known to first welcome guests in 2006, radiating luxury chic fusion with traditional Maldivian touches. This boutique resort includes 100 uber-stylish villas, a varied collection of modern restaurants and bars, a Coco Spa, and water-sport center. Along with a portfolio of an unforgettable ‘Uniquely Coco’ experiences, Coco Bodu Hithi is set to give wonderful moments made up of pristine beaches, palm trees and with a coral reef.